We have been researching the idea that we are teaching our girls to fear failure ever since – and the research is hard-hitting, significant, and extremely eye-opening. As we celebrate Women’s History Month and women who each overcame her own great obstacles, I thought I would share some highlights from our research. Do your female students rush through assignments? Are your girls hyper-focused on getting work done, instead of learning? If so, this quote might explain where that comes from. If a young girl believes her abilities are either there or not, she is going to see hard work as not necessary. Since you are either smart or you’re not, it doesn’t matter if you take your time or put forth effort, the outcome is the same. So how do we fix this? The answer is that we focus on the process with our female students. Don’t focus on the outcome or the grade or finishing. Instead of asking her “what grade did you get on that project” ask her, “While you were working on the project, what part was your favorite? What was your least favorite? What would you do differently next time?” Draw your attention to her process and effort and away from the final outcome. Kids make goals in school and at home. Research shows that girls tend to choose performance goals vs. learning goals. So what’s the difference? 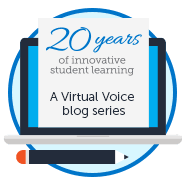 Performance Goals are focused on outcome, the end result, and evaluation, while learning goals are focused on growth, the whole picture, and the work and effort needed to learn something new. Encouraging our girls to make learning goals in school and at home will no doubt positively impact their growth mindset and help them better embrace and understand failure better. How else do I help girls embrace failure instead of fear it? 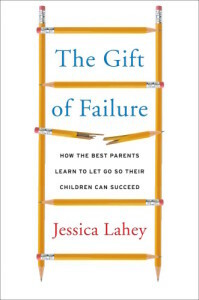 The Gift of Failure by Jessica Lahey is a fantastic book about how we have taught “a generation of kids to fear and avoid failure.” This blocks the path to success. We have done this by doing things for our children. We forget to teach them to fend for themselves and in turn, it keeps them from being able to do things on their own. We need to let them fail while they are young so that they know how to problem solve as they get older. The truth is so much of success comes from failure. So when we block our children, especially our girls from failure, we are really blocking them from success! I just love this picture, how true it is! 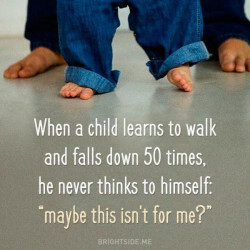 The greatest example of growth mindset is a baby learning to walk. They fall (fail) so many dozens of times. And, yet. And yet they get back up. The daughters in this world don’t start out with a fixed mindset. They are born with a growth mindset. You see it in their determination to roll over. You relish in it as they learn to stand on their own two feet and as they start to walk. If you want to empower the women in your life, just don’t let them lose their determination, their perseverance. The beauty of a growth mindset is that you can always strengthen it. It’s fluid and malleable and dynamic…if you know girls that have a fixed mindset right now, you can change that. Because it’s all for them. Whatever a girl dreams, whatever she hopes, it’s all for her. Want to read more? Check out these articles! 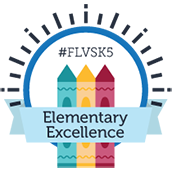 This entry was posted in Educator Edition, Homeschool Edition, Parent Edition and tagged Failure, Girls, Grit, Growth Mindset, Motivation, Student Success, Women's History Month, Women's Rights on March 14, 2016 by Guest Blogger. Excellent post, Amanda. So much of failure is learning, as you point out. Love the reference to learning to walk! Thank you Nancy Jo!! How true! When I started to see that blocking failures was really just blocking success, I really made a change in my approach with not just the teachers I work with, but the students and even my own daughter. Thanks for the wonderful feedback.